So I came to a decision; one that was quite easy to make. End the development lifecycle of the current BerryCam iOS App, refactor the code into a super slim HTML/KnockoutJS web app hosted directly on the Pi and give everybody the chance to run it on any device they wish. And at the same time, introduce a whole new pile of improvements including timelapse support with time-window capture and user definable capture intervals. Essentially it's BerryCam and the time-lapse script merged into one app; with the same easy-to-use front end. What this does mean, is that inevitably support for the native iOS app will be ended, and in turn the app will be withdrawn from the App Store in a few weeks. But this new version will be so much more easy to set up and use on any device you wish. And for all you hackers out there; it will be fully open source. So you can continue to enjoy Pi Photography and customise it to your own needs. 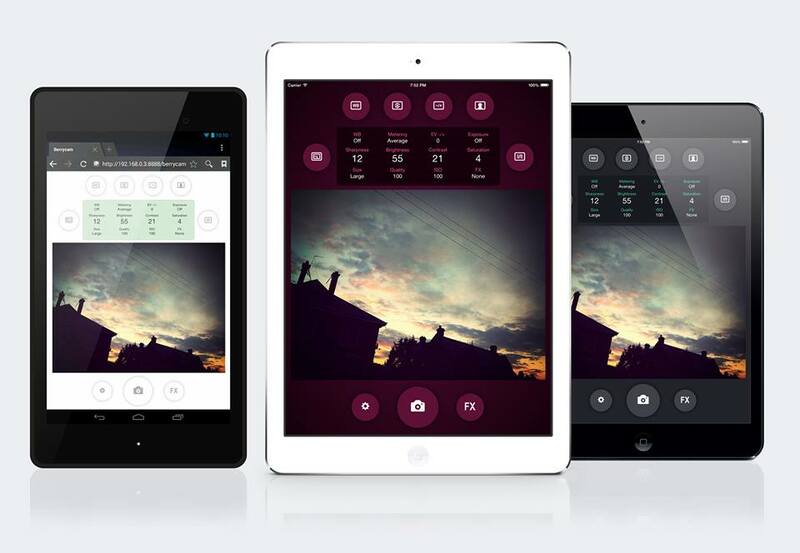 Talking of customisation; there's also a pile of new themes that allow you to skin up your app the way you like it. Again, there are no limits to what you can do here and I look forward to seeing pimped-up or super sleek UIs for the app in the future! All the LESS source is part of the app package which will be put up onto the repo soon.